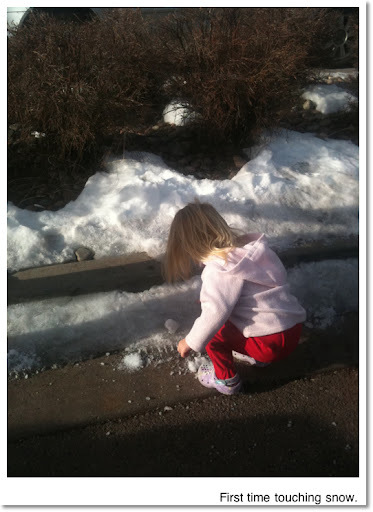 On our way to grandma's house today Sariah saw and recognized snow for the first time. She saw it last christmas but was too little to get excited and won't remember much from when she was 18 months old. Today she was beyond excited and demanded that we stop the car so she could touch the snow. I vow to one day live in a city where it snows regularly during the winter months. Both of my children, myself, and my husband love the snow. Superb and awesome post about "First snow"
Дозвольте мені представити вам рік кінці можливості в красу і радість. Ви турбуватися про курортного сезону, ви хочете, щоб почати новий рік з великі надії. Я даю вам можливість швидко і якісно кредиту протягом короткого часу. Не соромтеся, тільки одну адресу можна отримати достатню відомості. Online casino game sites of international standards that play an amazing betting. There are many players to play Baccarat, lottery online slots, slots, roulette, slots and more than 200 online casino games. Golden slot Live betting from casinos in Poipet. Cambodia It is well known among gamblers as well. Language support for users to choose. Listed in the form of legal play that Cambodia secure financial stability. Full HD playback with full HD audio, surround sound, expandable screen size or smaller. Gamblers have many different online casino games and all the fun. สล็อตออนไลน์ The online gambler has a lot of fun online. And all the fun online by playing online casino games are the master of many online gambling games. For every gamer you have to choose every day at each user you wish to have a game today. Online gambling is open all the time. Stay at home mom to 2 adorable kiddos, a wife to a very loving husband, and just a little bit crazy.